I have seen your machine, need to get in touch with regarding your machine. Please let me know your contact details. Jim, Nice machine you have built. In ver. 2.0, would you have used the larger plate as a build platform ? 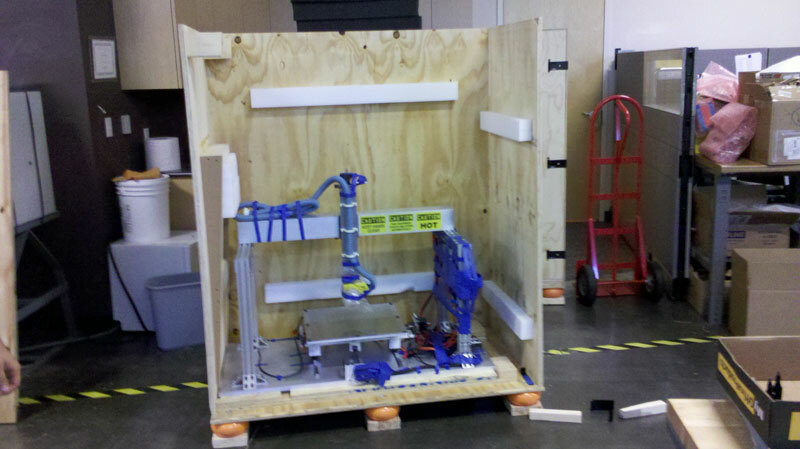 I’m seeing the need for parts getting to about 3 feet cubed, and in some cases even 3′ x 3′ x 6′. Are you going to combine cnc and wood routing with abs part printing ? Another consideration would be to add a 3d scanner to the unit for input. Finally, what about scraps and stuff from the the abs: can it be recycled for the printer, by putting through a grinder ? Very interesting printer you have made. I am working on somthing of similar size but need to use multi materials so will be using a moving head to acomodate the nozzle wipe. Have you had any problems with ABS warping? I am currently using a BFB3000 and ABS is warping all over the place! I’ve become very interested in 3d printing over the past year or so. 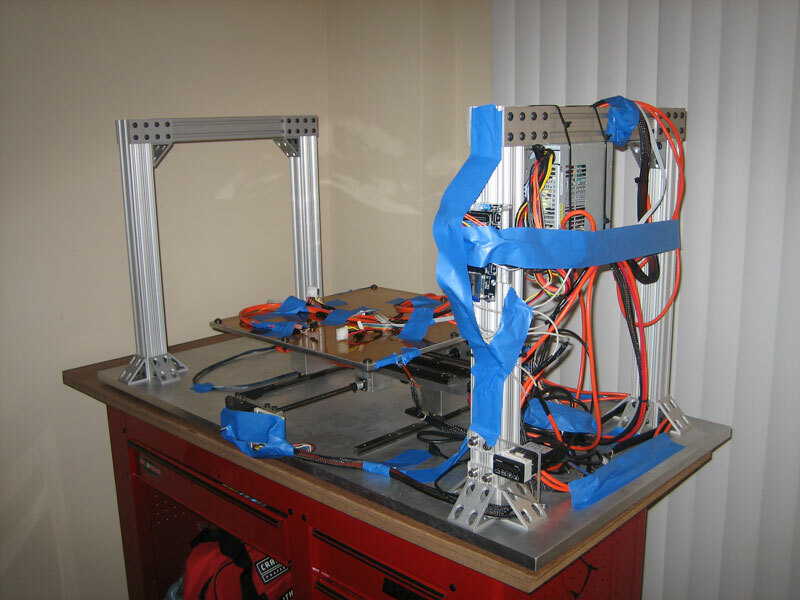 Your printer is quite amazing and I was wondering if I could get the machining specs for the metal components I would like to build something similar but with quite a few tweaks. 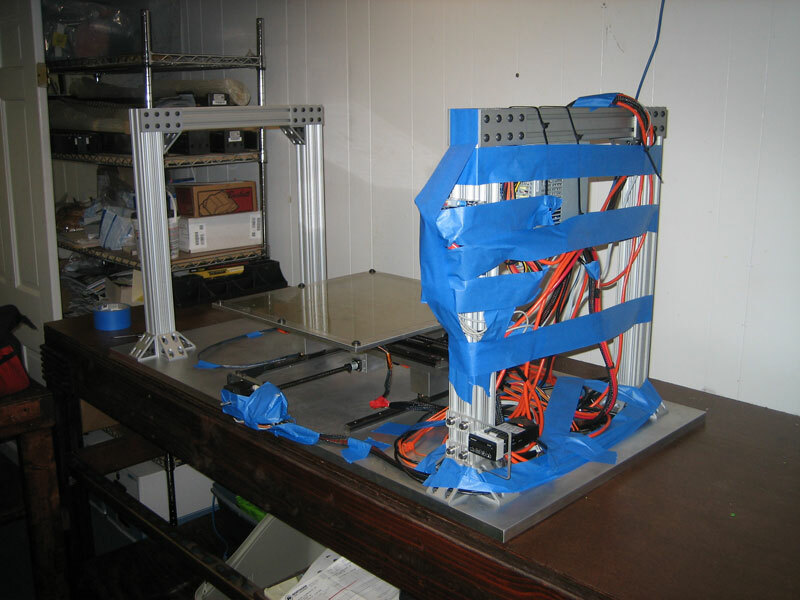 Are the plans and BOM available for the large 3D printer. 나는 당신의 3D 프린터를 구입하고 싶습니다. What a nice result from my 3-D print a Kayak search!! I am a novice Kayaker and that is far above my 3-D printing experience. I was wondering on my foldable Oru Kayak (http://www.orukayak.com) what do you think about 3-D print outriggers/stabilizers for the 12′ unit? I have learned it needs to be removable and be able to support stability and water reentry of my 200 lb body back on the boat, once flipped.